How many stalls does the facility have? Currently we are a small facility with 14 stalls. Horses are given individualized attention and care. 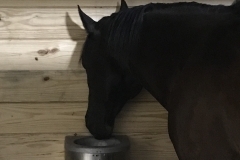 What type of feed will my horse receive? We feed premium hay that is a mix of alfalfa and grass. Stored inside so it is never wet. We weigh the flakes provided and feed based on the horses weight. For grain we feed Tribute Seniority, Kalm N EZ, and/or Kalm Ultra but will stock whatever brand you would like for an additional fee or we will provide a labelled container for you to bring packed grain baggies from home (If you pack your own grain and do not use GBF’s grain you will receive a credit on board). We feed twice a day. 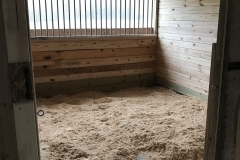 Hay is fed on demand during the cold months to keep your horse happy and healthy. We will also feed supplements that are provided by the owner. 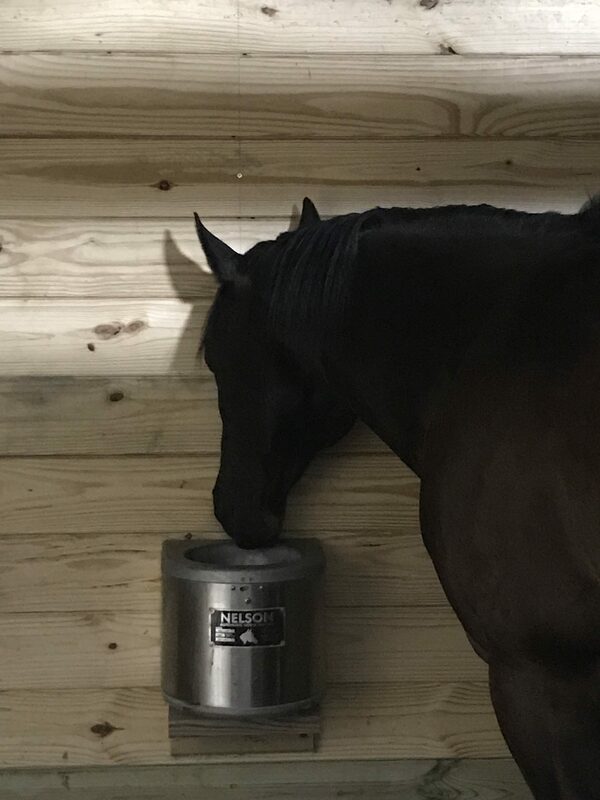 Nelson Heated Automatic Water system is available in the stalls and in the pasture. 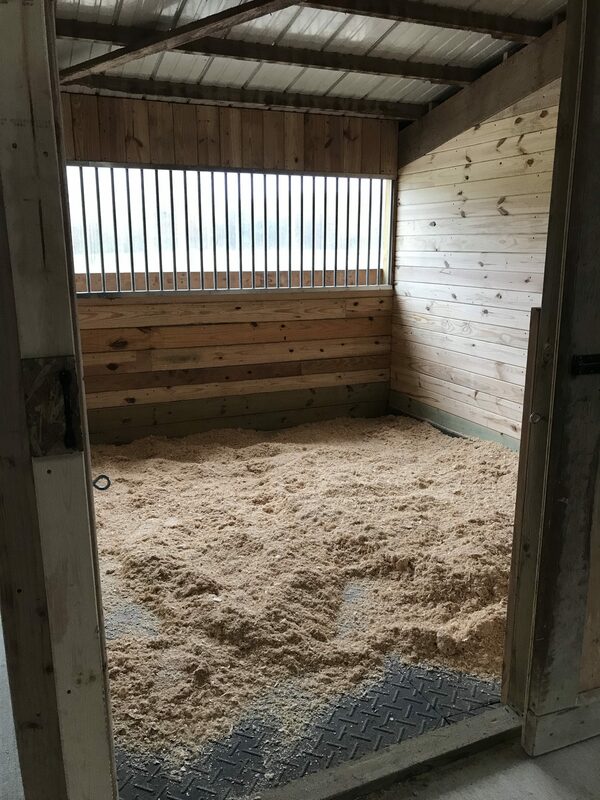 What type of bedding will be used? We use kiln dried low dust bagged shavings. How often will my horse be turned out? We turn out daily from dawn till dusk (depending on weather). During summer months we offer customized night turn out as well. What type of fencing is used for turn out? Centaur Hot Rail Horse fencing is used for securing your horse from harm. Instead of wood boards that can splinter and cut your horse centaur fencing is made with vinyl boards that bend. It is an electric fence with 3 strands to keep them from hurting themselves. What does the monthly Board cost?